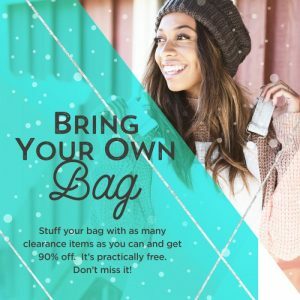 Don’t miss Plato’s Closet’s BYOB, Bring Your Own Bag, sale Saturday, February 4. Fill your bag to the brim with clearance items for 90 percent off–it’s almost free! Follow the Paoli Plato’s Closet on Facebook for the latest updates.